Your electrical outlets may be something that you take for granted, but when one of them stops working, it’s something you’ll notice right away. It’s a frustrating but common problem that many homeowners have dealt with at least once. Even if your outlets are working correctly, you should consider upgrading them, especially if you plan to do your home’s electrical wiring. Let Markey Electric and Solar take care of your electrical outlet replacement service. What Causes Electrical Outlets to Stop Working? A loose connection occurs with faulty wiring which makes it hard for electricity to reach your light fixtures and other devices. Tripped breakers and GFCI’s happen when there is electrical overload. Shutting them off prevents more serious problems from happening like fires. 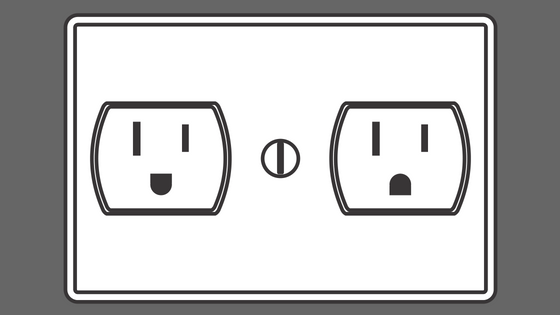 Outlets that are off could be due to a power shutdown or some other cause. Determining the correct cause of a malfunctioning outlet requires an experienced electrician who can get to the root of the problem. GFCI’s, which stand for ground fault circuit interrupter, provide an extra layer of protection. Homeowners should have GFCIs installed in high-risk areas where the risk of electrocution is higher, such as your bathroom and kitchen. A GFCI outlet will shut off when it comes into contact with a person or water. GFCI’s are distinguishable by the two buttons in the middle which are commonly colored black and red, although some of them have two white buttons. It’s vital that you take a look at these “high-risk” areas in your home, especially if you have small children and pets, and check if GFCIs need to be installed. A broken electrical outlet may come across as a simple DIY project, but looks can be deceiving. It can grow into a frustrating repair job if you’re guessing at the cause of the broken outlet. You may find yourself spending more time than planned trying to fix what should have been a simple problem. This situation is where you need the experience of an electrician to handle your outlet replacement. Need help replacing your electrical outlets? Contact Markey Electric and Solar. Our electricians are knowledgeable, professional, reliable, and courteous. We handle everything, from large-scale commercial projects to installing your outlets and light fixtures.